Darryl K. Brown is O.M. Vicars Professor of Law at the University of Virginia School of Law. Jenia Iontcheva Turner is Professor of Law at the Southern Methodist Dedman School of Law. 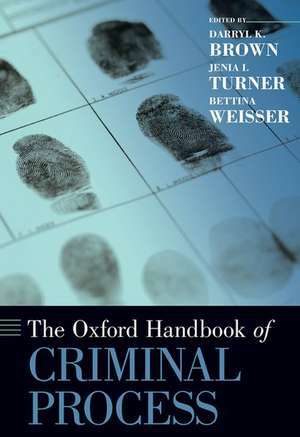 Bettina Weisser is Professor of Criminal Law and International Criminal Law at Westphalian Wilhelms University - Münster.